This week’s list of data news highlights covers October 28 – November 3, 2017, and includes articles about a new open data bill in the United States and fabric that can store data. Geoff Hinton, a researcher at Google, has developed a new type of artificial neural network called a capsule network, which uses small clusters of virtual neurons designed to track the relative positions of different parts of an object in images and video, enabling them to generalize an AI system’s image recognition capability and quickly detect if it sees a familiar object from a new angle or in a new scene. In tests, Hinton’s capsule network was able to recognize handwritten numbers as accurately as leading machine learning techniques, as well recognize pictures of toy cars with half the error rate of leading systems. U.S. Representative Paul Ryan (R-WI) and Senator Patty Murray (D-WA) have introduced the Evidence-Based Policymaking Act, which includes a version of the Open, Public, Electronic, and Necessary (OPEN) Government Data Act, introduced earlier this year with bipartisan support, to codify federal open data publishing requirements. The Evidence-Based Policymaking Act would require federal agencies to treat their data as open by default, as well as appoint chief data officers. Researchers at Showa University in Japan have developed an AI system capable of identifying malignant bowel cancers in images in less than a second. The researchers trained the system on 300,000 images of both cancerous and noncancerous colorectal polyps, enabling it to distinguish between the two with 94 percent accuracy. Australian insurance company Suncorp has partnered with IBM Watson to use Watson’s natural language processing ability to process motor insurance claims. To help Watson better understand customer accounts of accidents, which often contain colloquial language, Suncorp trained Watson to understand Australian slang. In tests, Watson was able to correctly determine liability in a claim with 90 percent accuracy. 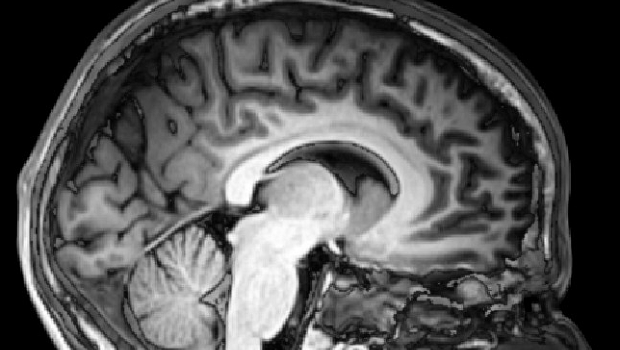 Researchers at Harvard University, Carnegie Mellon University, and others have developed a prototype machine learning system capable of analyzing functional magnetic resonance imaging (fMRI) scans of patients’ brains to identify signs of suicidal ideation. The researchers scanned patient brains while presenting them with words such as “death,” “carefree,” “trouble,” and “good,” and had their system analyze how their brain activity changed. In a test of 17 patients with suicidal patients and 17 patients serving as a control group, the system was able to correctly identify 15 of 17 patients with suicidal ideation. Geoscience Australia, Australia’s geospatial agency, has developed a suite of machine learning algorithms capable of automatically analyzing satellite imagery, magnetic data, geochemistry data, and other data to predict the location of underground mineral deposits. The algorithms have proven to be 80 to 90 percent as accurate as traditional manual analysis, but significantly faster. The algorithms are also capable of seeing through clouds obscuring the Earth in satellite imagery. Researchers at Columbia University have developed a smartphone app called Sensory that can determine a person’s location in a building by analyzing their smartphone’s GPS, barometer, and phone signal strength. GPS can easily identify where a person is, but it cannot detect their elevation. Identifying which floor a person is on can be crucial for emergency response efforts during an emergency in a high-rise building. University of Washington researchers have developed a fabric capable of storing data without the use of electricity or mechanical parts. The fabric uses magnetized conductive thread and can store digital binary data as well as visual information such as letters and numbers, and can be washed just like normal fabric. The fabric can also interact with magnetometers, which many smartphones have, enabling applications such as gesture recognition. The Rotational Motions in Seismology (ROMY) project in Fürstenfeldbruck, Germany, is using a complex network of sensors and underground tunnels to study the Earth’s rotation with unprecedented precision. As the Earth rotates on its axis, the ground actually wobbles significantly. ROMY, funded by the European Geosciences Union, has developed four 12-meter triangles arranged in a tetrahedron underground filled with sensors that can detect rotational movement significantly more accurately than prior efforts, and unlike satellite-based methods which measure changes in the Earth’s rotation at regular intervals, ROMY can monitor changes in real-time. Researchers at the Francis Crick Institute in the United Kingdom have developed a new statistical model capable of identifying tumor suppressing genes, which could be useful targets for future cancer drugs. Human cells typically contain two copies of tumor suppressing genes and tumors can develop if both get deleted as the result of mutations, however identifying these genes can be challenging. The model uses a technique called single nucleotide polymorphism analysis to identify the unique signatures of tumor suppressing genes. By applying the model to cells of 2,218 tumors caused by 12 types of cancer, the researchers were able to develop 27 previously unknown tumor suppressing genes.